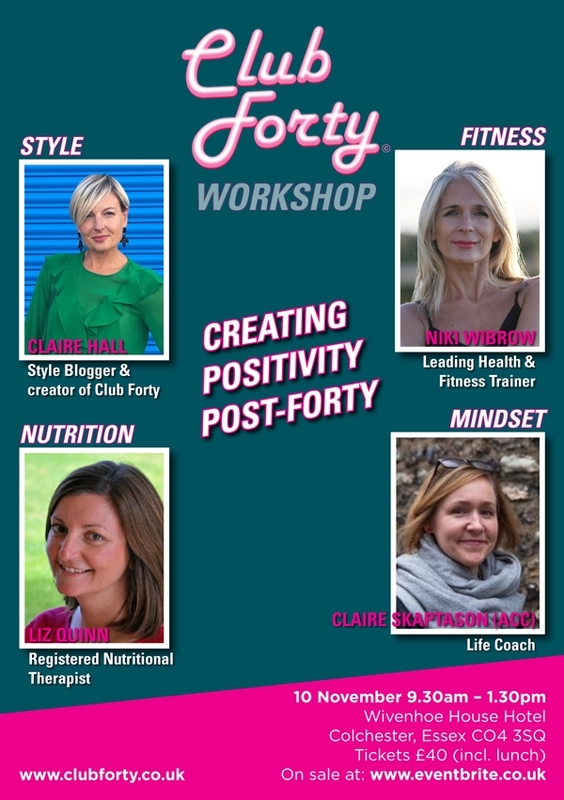 I am very excited to announce an upcoming new event… I have joined forces with 3 brilliant women to bring you a workshop-style event which I’m calling ‘Creating Positivity Post-40’. I’d love you to join us for a morning of fun and insightful presentations with take-away tips and advice to help you be the best you, post-40. The morning will consist of 4 workshop-style talks and a delicious buffet lunch in the beautiful surroundings of Wivenhoe House Hotel. I’ll be speaking on the day, sharing my style and personal impact philosophy and offering styling hacks and ideas for the AW season. Also joining me are: Liz Quinn – Nutritional Therapist; Niki Wibrow – Leading Health & Fitness Trainer and creator of the 404040 Plan; and Claire Skaptason – Life Coach. 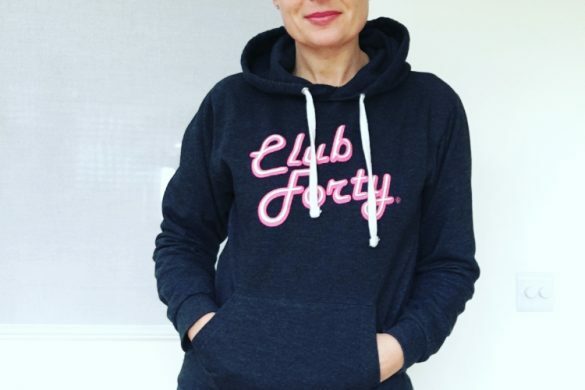 I have partnered specifically with these ladies to offer you a holistic pool of expert advice that is both interesting and relevant to women in Club Forty and beyond! On the morning we’ll cover style, nutrition, fitness and mindset. 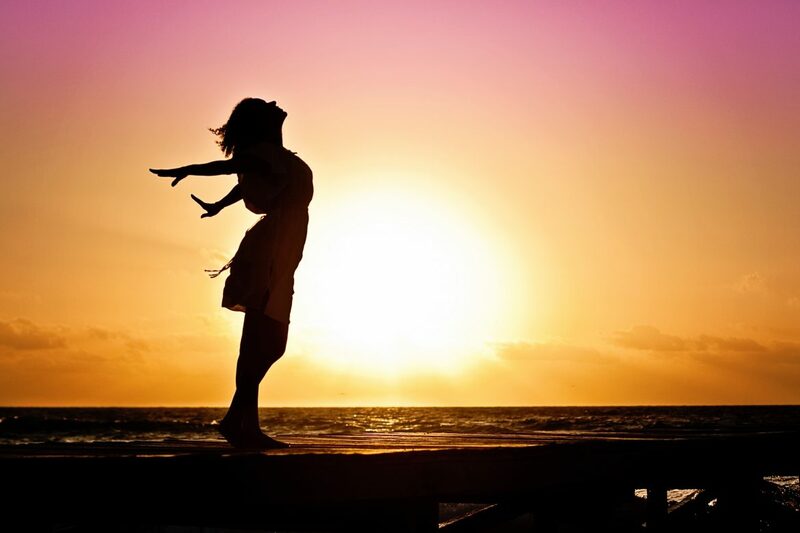 Making just small changes in these areas can bring a massive change to your outlook and how you feel both physically and mentally. I really look forward to sharing this event with you!